I started off with some Salty Ocean Distress Ink and that awesome Cloud Stencil from My Favorite Things. I inked up my cloudy sky then used Lawn Fawn's "Quinn's 123s" dies to cut 2017 out of my card base. I cut my numbers 3 more times from white cardstock and layered them together. 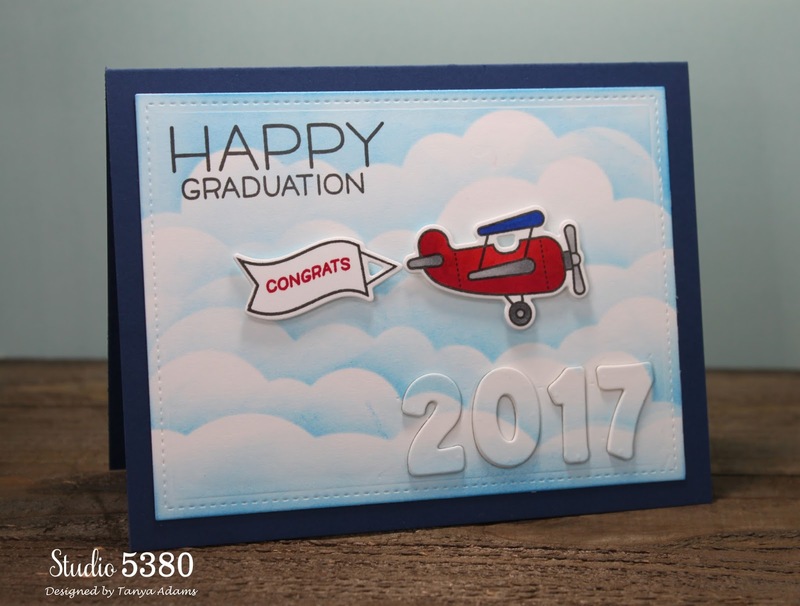 The "Happy Graduation" sentiment is from Lawn Fawn's "Happy Happy Happy" stamp set. And, that fun airplane and banner are from their "Plane and Simple" stamp set. I colored my images with Copic Markers and added some clear Wink of Stella here and there. I added my cloudy layer to a dark blue cardbase and used foam tape to pop up my airplane and banner. Next I inserted my layered numbers into the space created when I die cut them. And there you go - another graduation card to check off my list! I hope you have a fun, relaxing, wonderful weekend! I sure do like your background. I need to add that stencil to my list. 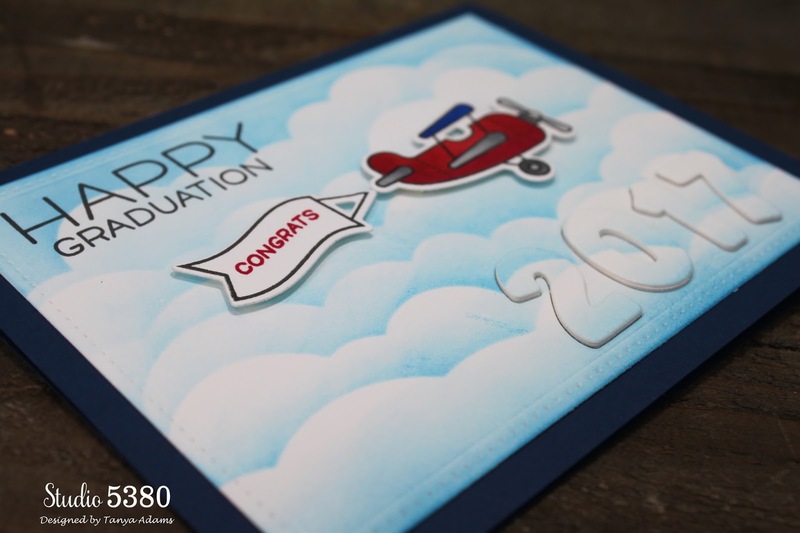 I think this is a great graduation card since it is different than the typical cap. That is just Fantastic Tanya! LOVE the dimension on the (2017) it looks cool and I love the clouds too.. I got that Cloud Stencil and have yet to use it.. 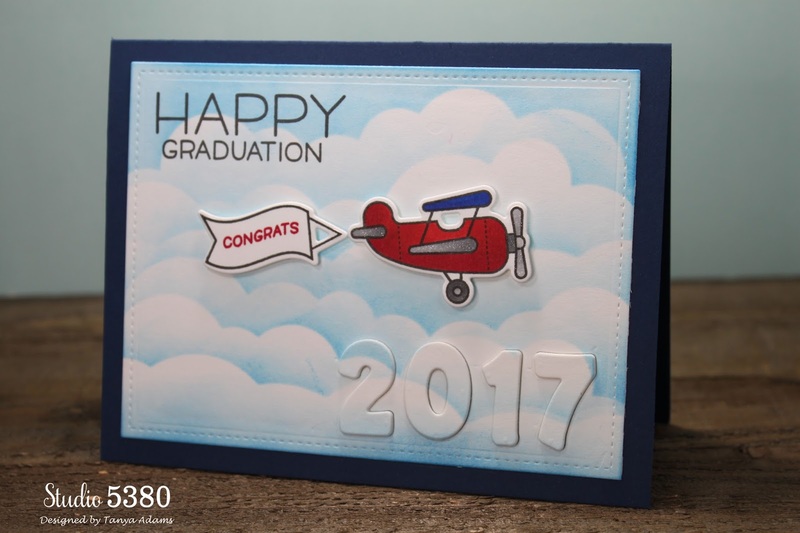 I can see it creates wonderful clouds... Fab Grad card.... I hope you find time to play this weekend! Keeping my fingers crossed for ya! :) Big Hugs! Awesome background! Super cool card! !